Voxburner’s Youth Trends podcast is officially back for 2019! 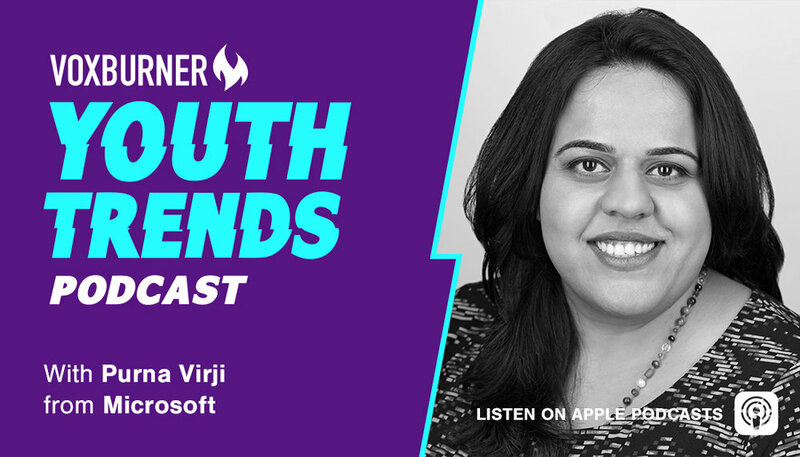 Our first guest of Season 2 is Purna Virji, Senior Manager of Global Engagement at Microsoft, who gave a fascinating keynote at YMS NYC a few months ago. Voxburner founder Simon Eder got Purna on the phone to chat about the digital trends impacting the daily lives of Gen Z, and what she's learned from her role at one of the world's largest tech companies. Listen and subscribe now on Apple, Spotify or Google, or choose from our full list of partners here. Don't forget to give us a review or a tweet to let us know what you think, and any guests you'd love to hear in a future episode. Plus, you can hear more from Microsoft at YMS19 LDN, where Purna’s British colleague James Murray will give a keynote on how humans and machines can work in harmony.